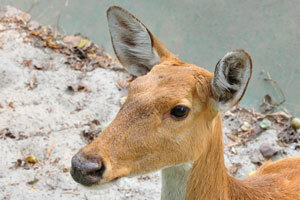 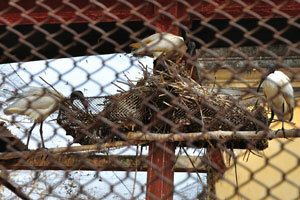 There's wonderful home at the entrance to the zoo. 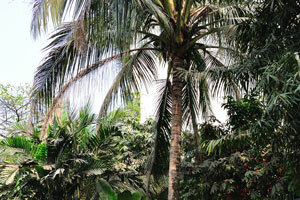 The beautiful shrubs and palm trees. 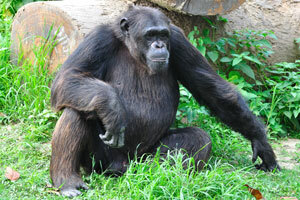 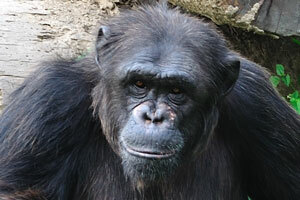 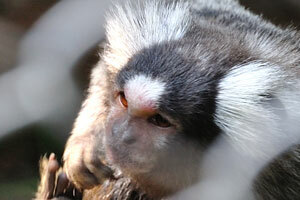 Chimpanzee thinks about its life at the zoo. 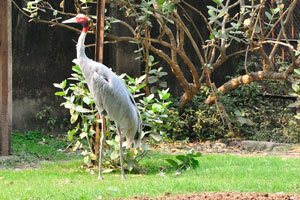 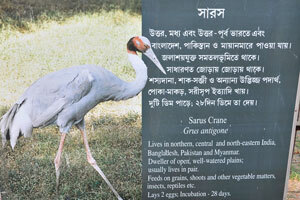 A sign about the Sarus Crane. 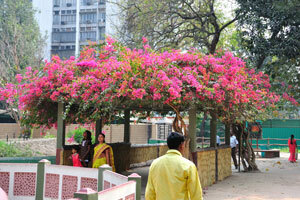 This tree has huge leaves. 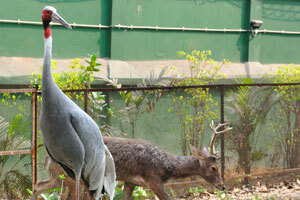 The crane and the deer. 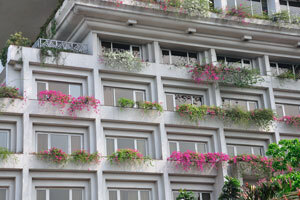 Here is alive flower composition. 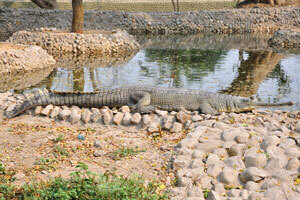 The crocodile's mouth is opened. 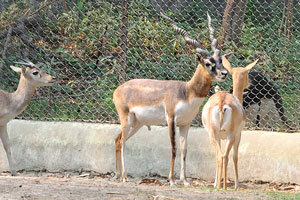 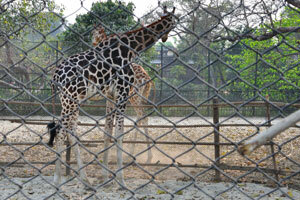 Guided tour of pupils at the zoo. 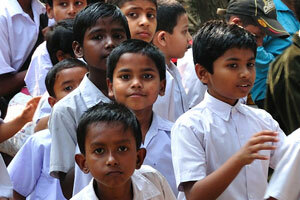 We attract the attention of the pupils. 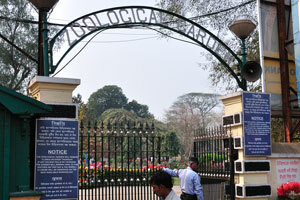 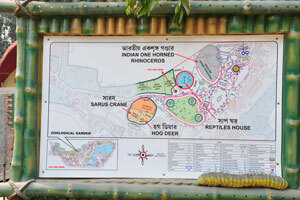 There is the map of the zoological garden in some places. 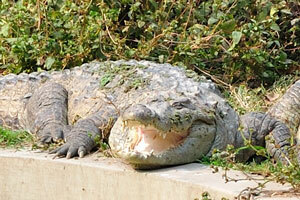 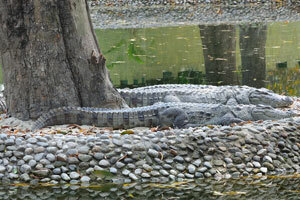 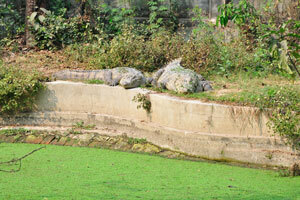 Crocodiles are merged with the natural environment. 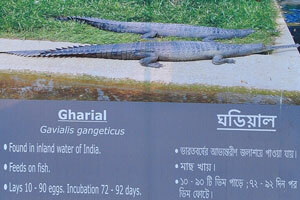 Long Snouted Gharial Crocodile (Gavialis gangeticus). 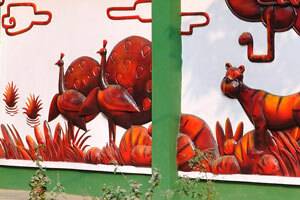 Little girls at the zoo play in different active games. 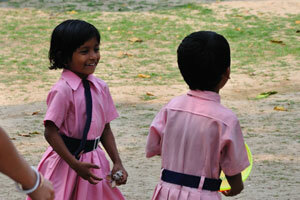 The little girls are naughty sometimes. 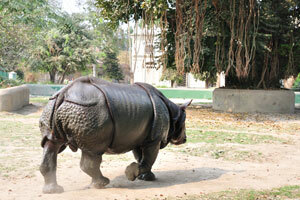 Rhino runs along the fence. 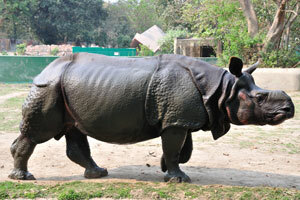 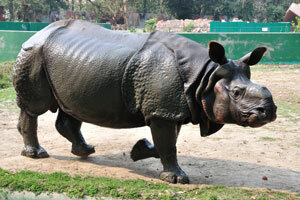 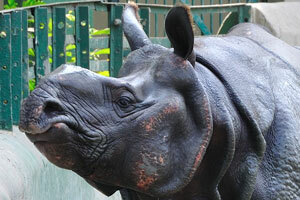 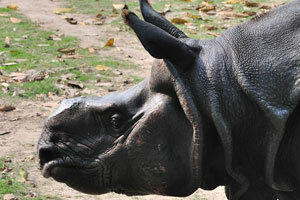 Indian One Horned Rhinoceros (Rhinoceros unicornis). 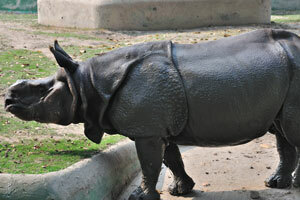 Rhino goes to the shadow under the tree. 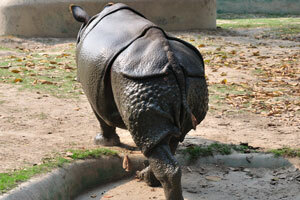 Rhino is posing before the camera. 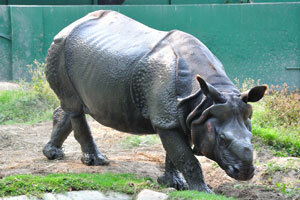 Rhino is one of the most interesting animals of the zoo. 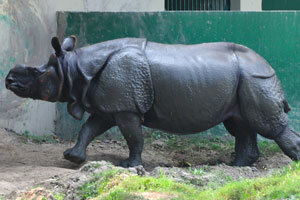 Rhino goes away from us. 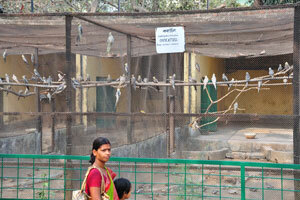 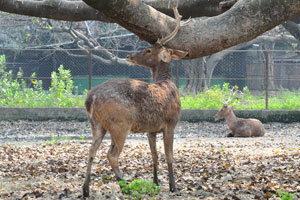 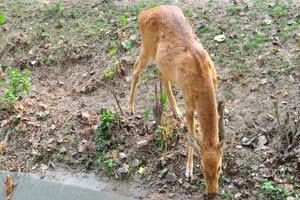 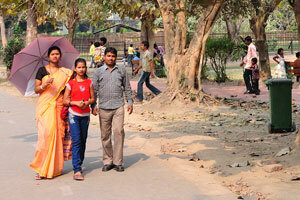 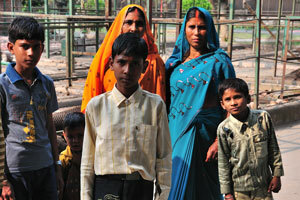 Here is the Indian family rests in the zoo. 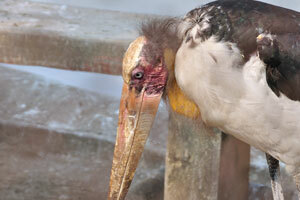 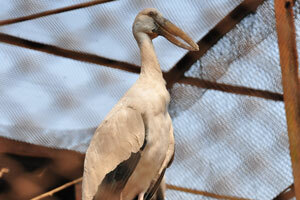 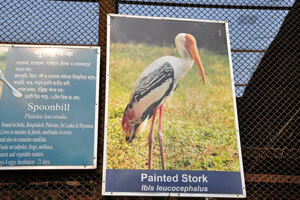 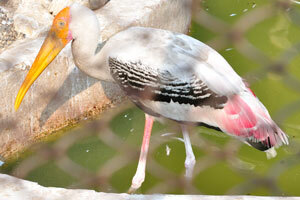 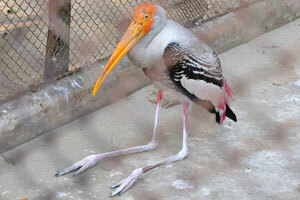 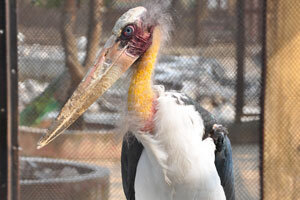 The sign about the Painted Stork. 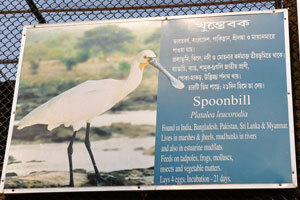 The sign about the Spoonbill. 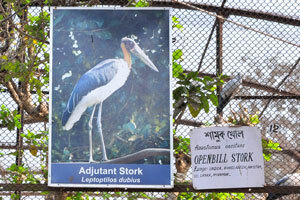 A sign about the Adjutant Stork (Leptoptilos dubius). 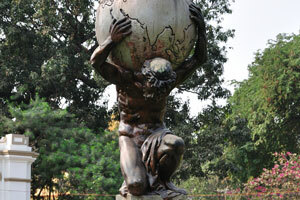 Atlas bears the burden of the world. 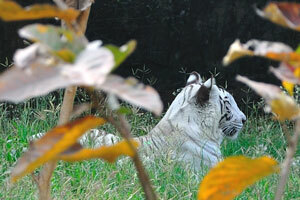 Bengal Tiger [White] (Panthera tigris tigris). 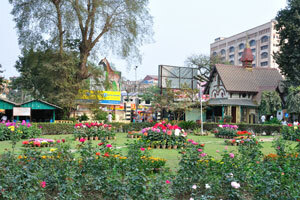 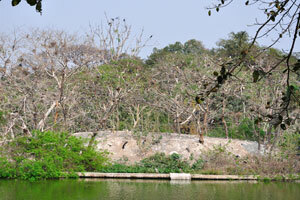 There is the small island in the zoo inhabited by birds. 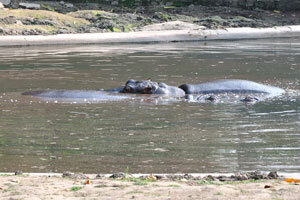 Hippopotamuses are under the water. 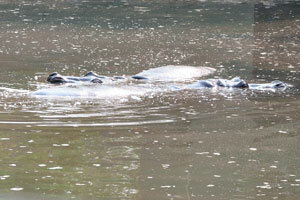 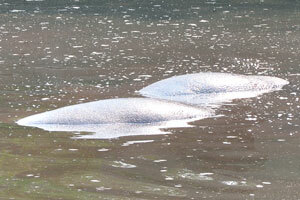 Here are the backs of the hippos. 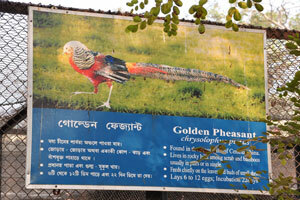 The sign about the Golden Pheasant. 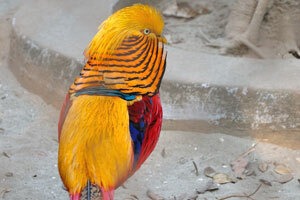 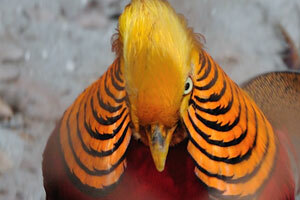 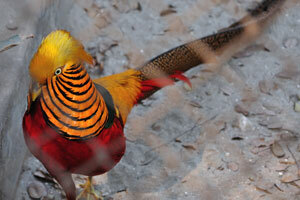 Here is multicolored Golden Pheasant. 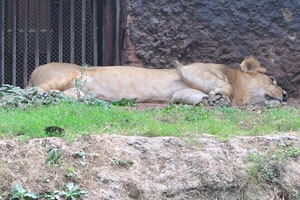 Indian Lion (Panthera leo persica). 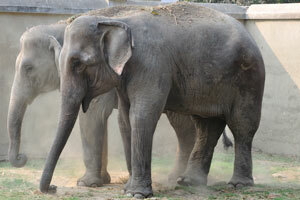 Elephants sprinkles dust on their backs. 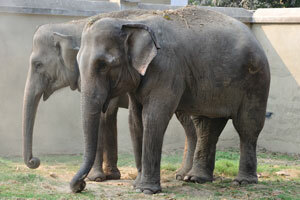 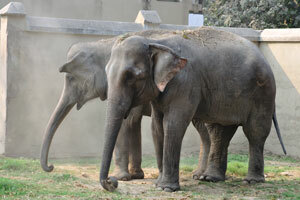 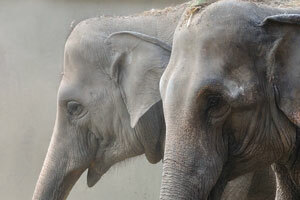 Elephants are waving by their ears. 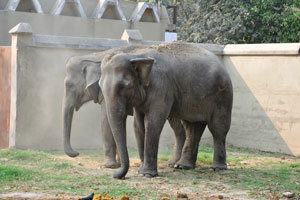 Dust swirls over the elephants. 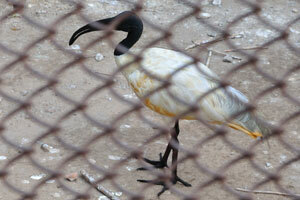 White ibis builds the nest. 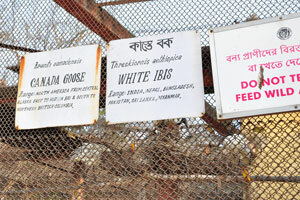 The sign about White Ibis & Canada Goose . 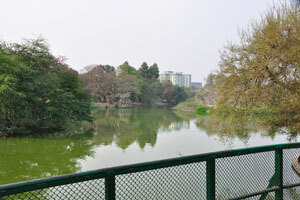 View from the bridge on the lake and the island. 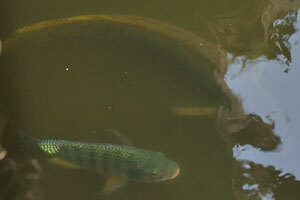 Large fish swim under the bridge. 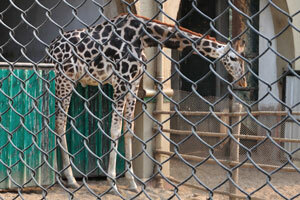 Giraffe comes out from the pen. 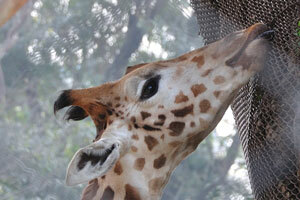 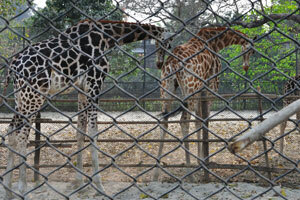 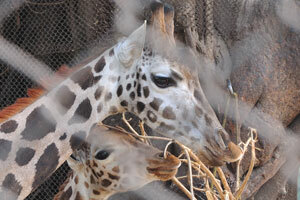 Giraffes are on the aviary. 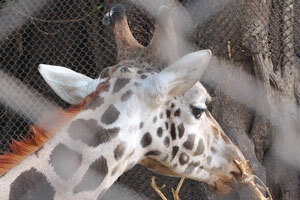 Giraffes - female and male. 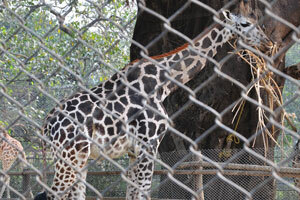 Giraffe is a very impressive animal. 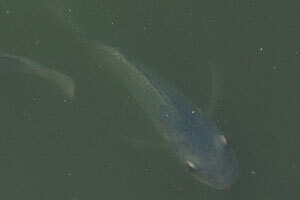 Among the big fish swims a fish of incredible size. 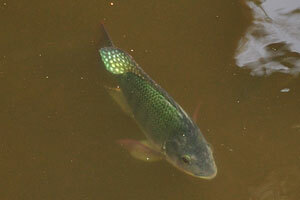 The green fin of the fish decorated by bright yellow spots. 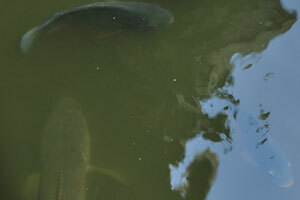 A very large quantity of fish swim in the lake of the zoo. 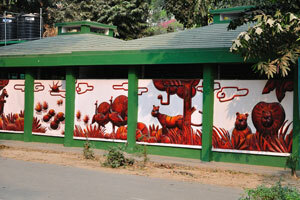 The toilet of the zoo. 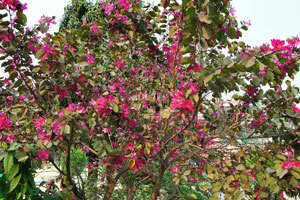 This is the shrub with the huge purple flowers. 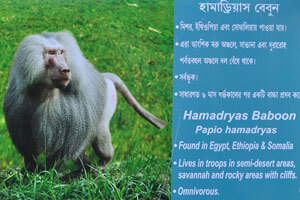 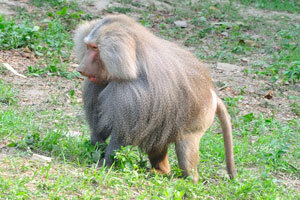 The sign about Hamadryas Baboon. 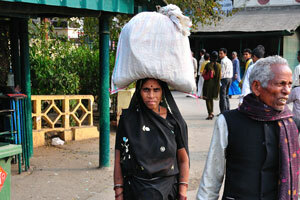 The woman with the sack over her head. 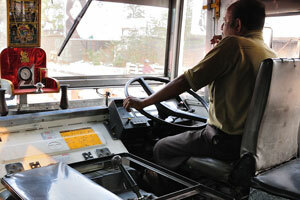 This bus will take you from the zoo and deliver to the metro station Maidan. 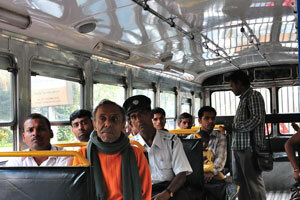 This is the cabin of the bus. 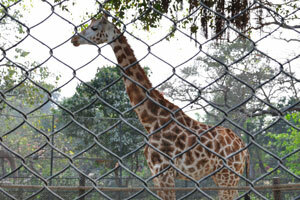 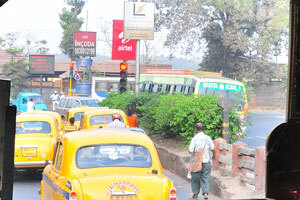 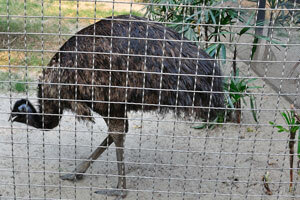 We drive from the zoo to the nearest metro station.